I find that whenever I revisit authors that I read in high school, I get a very different feel and view of the book. For Hemingway, that didn’t really change. I read An Old Man and The Sea in grade 11 or 12, and I remember thinking ‘wow, this guy doesn’t really care about punctuation’. His sentences were like, half a page and a whole paragraph. 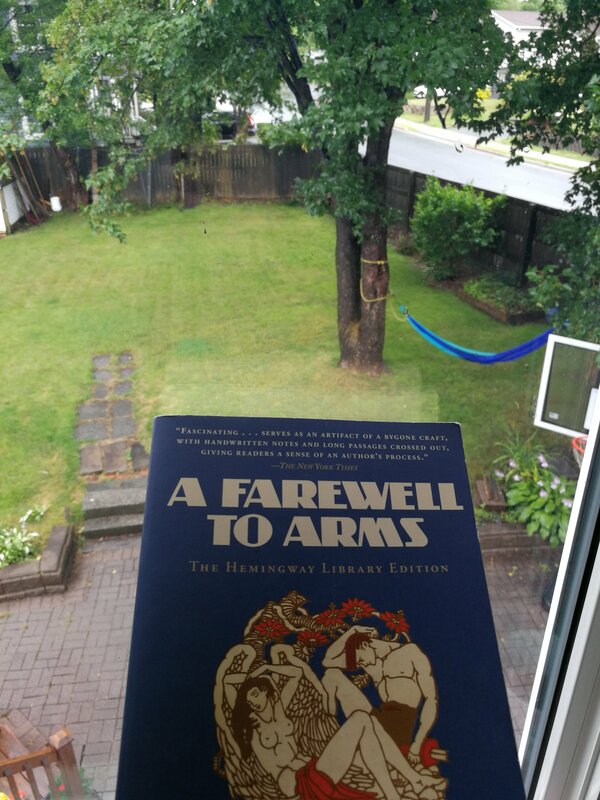 That didn’t really change in A Farewell to Arms, but I must say that despite the page-long sentences, I really enjoyed this book. I’m such a sucker for war stories – the World Wars were such huge historical events, and any account of them that is even partially true has most of my attention. 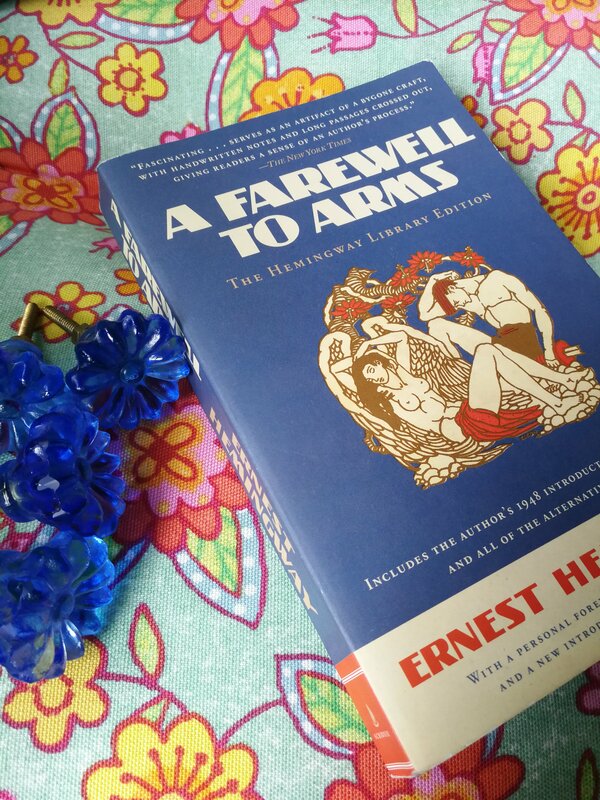 A Farewell to Arms is said to be based partially off of Hemingway’s experience as an ambulance driver in WW1. The main character Frederic Henry is an American ambulance driver who is serving with the Italians on the Italian front. The story is centered around not only his service in the war, but also his relationship with Catherine Barkley, an English nurse. I had been meaning to read this book for months, and of course I finally got around to it while procrastinating studying. At the beginning of the novel it was a little hard for me to submerge myself in his writing, and it took some time to get used to. But once I got used to him never using punctuation, and also never saying explicitly who was speaking, things started to move faster! I have to say it was interesting watching Henry become less and less invested in the war. He starts off quite the devoted soldier, but throughout books one, two, three the truth of the war as he sees it becomes less and less enchanting. I think this was a very organic change, and it was very much in his character to do so. Everything that happened in this book was very believable, and the characterization within it was incredible. I wish we had seen more of Rinaldi and knew more of what happened to him, but that was also very real – I’m betting that the friends you made in the war weren’t friends that you staying in contact with for very long, with the uncertainty of everything in those times. At the beginning, Catherine sort of annoyed me. 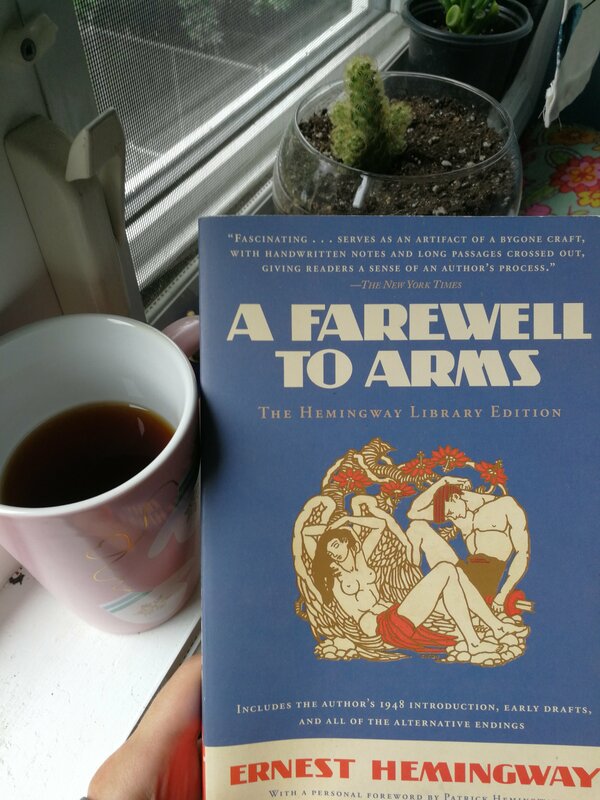 I didn’t like how Hemingway wrote her, and I didn’t like how she seemed to do everything based off of Henry with no reciprocation. But as the book went on I think he did a much better job characterizing her, and by the end of the book I loved reading Henry and Catherine’s relationship. My edition included all of the alternate endings, and boy was that a doozy to read through. I had never thought extensively about how hard it must be to end a novel, but I think Hemingway took it to a whole new level. 39 times he re-wrote the ending. Thats crazy! I also got some inserted pictures of his original manuscript, and that was really cool to see! Overall, I gave this a 3.5/4 out of 5! I’m looking forward to reading more of his work – any suggestions?